A man will appear before a judge at the crown court accused of fraud after an incident at a house in Haydock. 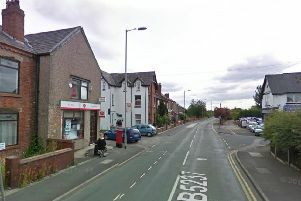 Merseyside Police arrested Henry Gaskin, 23, after two men knocked on the door of an elderly man and claimed they had done work on the house. They then took the victim to a bank to withdraw a large amount of cash. The incident took place at around 2.50pm on Thursday September 20. Gaskin, from Doncaster, appeared at Liverpool Magistrates' Court on Friday charged with fraud by false representation. He has now been remanded in custody until he returns to the dock at Liverpool Crown Court on October 19. Anyone aware of any similar incident is asked to contact Merseyside Police's social media desk via Twitter @MerPolCC or by searching on Facebook for Merseyside Police CC.